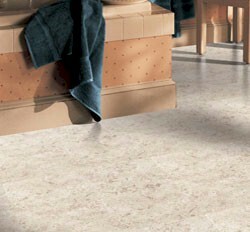 Vinyl Flooring Experts – Vinyl and Linoleum Sales, Service, Installation in the East Greenwich, West Warwick, North Kingstown RI Area. If you’re looking to use vinyl or linoleum flooring in your home improvement and interior design projects, you’re not alone. As the most popular type of flooring for areas such as kitchens and bathrooms, vinyl or linoleum floors offer many benefits at an affordable cost. Vinyl flooring comes in a large range of quality, from inexpensive vinyl tiles to high-end cushioned vinyl flooring sheets. With so many options of vinyl flooring available, you’ll want to make sure you choose the perfect vinyl flooring solution that matches your practical, aesthetic and budgetary needs. Call us today at for a free flooring consultation – we look forward to hearing from you! Barts Carpet Sales – Proudly serving the East Greenwich, West Warwick, North Kingstown RI area since 1955.